Just about two months ago, the maker of the popular-with-nerds game Ingress, Niantic Labs, was spun out of Google. Last month, the newly formed Niantic, Inc. announced that it had begun working on a project called Pokémon GO. Today? The company is announcing a $20M Series A round of funding with investments from Pokémon Company Group, Google and Nintendo. It could see $10M more if it hits certain agreed-upon (and sadly undisclosed) milestones. Pokémon GO isn’t out yet, so the undisclosed “milestones” tied to the remaining $10M in funding may have something to do with actually launching and whether it’s a hit once it does. Impressive, but shouldn’t be a complete shock coming from the founder and CEO, John Hanke, who was the CEO and co-founder of Keyhole and sold it to Google. That company turned into Google Earth. He went on to lead the Geo group at Google and of course started Niantic’s crown jewel, the Ingress project. Pokémon’s strategic investment in Niantic paves the way for a social mobile experience the world has never seen before. The Pokémon Company is committed to partnering with companies like Niantic that share the same spirit of community and innovation. 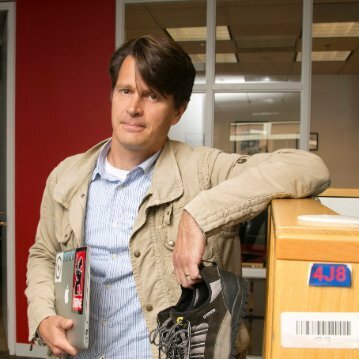 While Niantic didn’t get spun out as a company under Alphabet, it’s now getting the benefit of being a nimble startup. It’s currently hiring everything from game developers to community managers, so it’s not out of the realm of possibility for the team to become a powerhouse in a whole new category of immersive gaming. TC: Can you talk to us about the actual spinout from Google? JH: Sure. I spent time leading the Geo group, so when I started Niantic, our friends at Google offered to incubate the company. At the time it made sense because of the geo-location and mobile technology we were leveraging to build real world games and adventures on foot that you can experience with others. From the beginning we imagined that the company would spin out at some point when it made sense. This summer, with Ingress’ community thriving, new partners coming on board and getting ready to scale our platform, it made sense. TC: How much of the team have you retained after the spinout? JH: A significant group came with us. We are about 35 people and we are hiring in SF, Seattle, and LA. TC: How did Google’s backing help with growth? JH: Google was incredibly supportive, in terms of resources – everything from office space to access to certain parts of the company from the technology side to HR. Not to mention the brainpower available across the organization. Plus, it made the transition from running Google Geo much easier: familiar technology, teams, infrastructure, and other benefits. TC: What can you do now as a separate company that you couldn’t as a part of Google? JH: Being independent allows us to be more nimble across the board. One important part of that is that now we are able to work with companies and teams in new ways. This is significant at a time when we are building new products and we want to scale our platform as well as distribution. TC: How has your mission changed, if at all, since becoming a standalone company? JH: We remain steadfast in our mission. We want to build what we are calling “adventures on foot with others.” This means games, apps and entertainment experiences that are valuable in people’s lives, that support healthy human connections, foster community and get people moving, in the real world. TC: You talk about community a lot, what is the bread and butter community for the audience of Niantic projects? JH: The fantastic thing that we have seen with Ingress is that we have a very diverse community across age, gender, location and other aspects. We do see that many people are relatively tech savvy but that might be the science fiction theme of Ingress more than anything. Many Ingress players don’t necessarily even consider themselves gamers. What they do share is a love of discovery and meeting people and working together to solve problems. If you think about the fact that we have teenagers, young adults, and grandparents all playing together, even flying around the world to connect portals and win victories for their teams/factions, it’s pretty incredible. TC: What are your plans for the money? JH: We are growing and supporting Ingress of course. We recently announced that we are launching Pokémon GO game next year and that is a big undertaking. We will also be scaling our platform and working on other products. TC: How has working with Nintendo been? JH: Terrific. It’s an honor to have the support and insights of a company that has brought decades of joy to people through their IP, game design, technology innovation. They share our same values of using innovation and play to bring people together. We have so much respect for Nintendo, as well as The Pokémon Company and of course Google. We couldn’t ask for a better group of companies. This company, much like its products, aren’t the norm, which is exactly why companies like Google, Nintendo and Pokémon are backing them. It’s not EA, it’s not Zynga, it’s something that requires more imagination and an open mind to believe in. What kind of pants do Mario and Luigi wear?